There's nothing like leaving things until the absolute last minute. So here's another cop out post, in which I'm posting up a whole bunch of LPs & 12"s that I picked up this year that I didn't get around to blogging about, just so I can consign them to the 2018 blog history. So we're starting off with 'A' and this ALL 'Allroy Saves' LP on green vinyl. I picked this up on eBay UK for less than half the usual selling price, which I was pretty happy with. But it glows a pretty reddish pink in the dark. Looks pretty rad huh? A lot of people seemed to like this LP. I had pretty low expectations, and they were marginally exceeded. I would rate this record as 'ok'. Not bad but not great either. But I give them points for putting out new music rather than playing shows and continuing to crank out the same old stuff. Next is a 12" on New Age by Cutting Through called 'A Will To Change'. I grabbed the 77 pressing. I think some people were disappointed with this record after their earlier material, but I really liked this a lot. I also picked up the reissue of the Godspeed 'Swimmer's Ear' 12". I have always loved this record, so I stupidly bought all three versions - pink, white and red. The pink is the most limited. I think there were 200 of those, and 400 each of the red and white. Next, this repress of the classic 'Ballads From The Revolution' LP by Good Riddance. I don't have an original colour vinyl copy of this record, so this cheap repress on a nice colour was an easy choice. I also picked up this green vinyl second press copy of the Krimewatch LP. I couldn't resist it as it comes with a cool obi strip. I wasn't overly impressed with Krimewatch when I first heard them. But I played this LP a few times and started to really enjoy it, which makes owning two copies of it almost acceptable. One of my favourite pick ups of the year was a test press of the Pitchfork 'Eucalyptus' LP. This was originally released by Nemesis Records. I've owned a gold vinyl copy of this LP since about 1993, and its been one of my favourites ever since. And I also picked up a regular black vinyl copy, which isn't quite as exciting. When I was ordering from New Age, I also took a chance and picked up the Treason 'No One Is Safe' 12". This is a one sided 12". The flipside features an etched design of a picture of some guy. I'm guessing he was a friend of the band. RIP. One thing that's really cool is that the inside of the sleeve features a triple X print. It's actually pretty rad. I also picked up another copy of this record on 'clear with black smoke' vinyl. I'm not exactly sure why I picked up a second copy, but hey. And finally, a pink vinyl copy of the True Love 'New Young Gods' 12". Once again, I picked this up cheap on eBay UK. And although pink is the most common version of this one, I'm happy with it because pink vinyl is the best colour. OK, so I haven't updated this thing much this year. This wasn't exactly intentional. It was mainly due to not being able to take photos due to light issues, partly due to the fact that I have been living in a building site for most of the year. Records built up and I tried one more than one occasion to take photos, to no avail. So I gave up. But with the year end almost here, I realised that I don't want this thing to die quite yet. So I thought I would catch up by cheating and posting all of the 7"s that I didn't get around to posting all in one go. As ever, the lighting was less than ideal, but I did the best I could. This band seem to be doing pretty well building a name. This record is pretty good, although I didn't end up playing it as much as I expected to. The second UK band is called Rapture. I picked this up because they got signed to Youngblood. It seemed that there was a bit of a trend recently for bands to have female singers. Every label had one. Not sure if this trend is still going, but hey. I'll do the rest of the 7"s in alphabetical order. Depending on how you catalogue your records, numbers either come at the start or the end. Personally, I prefer my numbers at the start. So I'm starting with a couple of copies of this 27 7". This came out on Mind Over Matter Records. There were quite a few different versions, but I grabbed the only two left. I hadn't listened to this band in quite a while, and these two songs helped pull me back in. I hope they continue to make more music in the future. 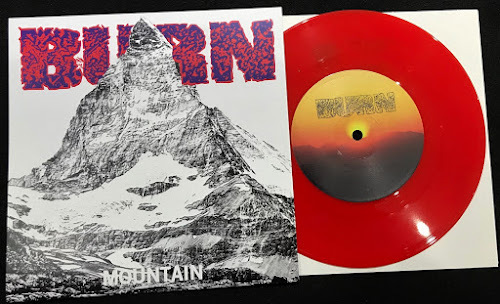 Next, the Burn 'Mountain' 7". This was pressed for a Euro tour. 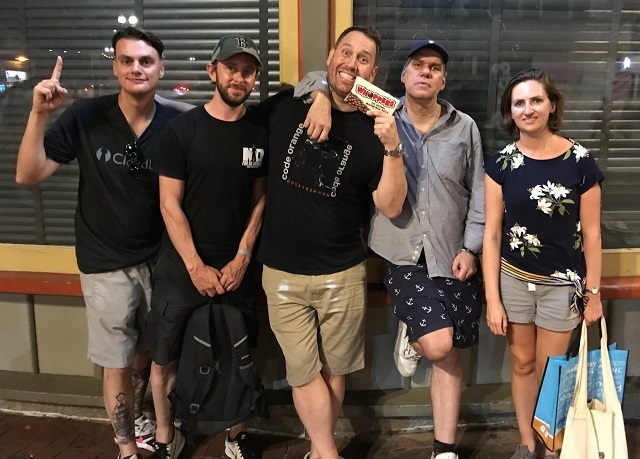 After the tour was over, the leftovers were sold online, along with a super limited red vinyl version that wasn't sold on tour. There weren't many available and they sold out super fast. The red is numbered out of 150 copies, although I'm pretty sure that only about 50 of them were sold online. I also picked up a black vinyl version. The main difference, other than the vinyl colour, is that the cover doesn't contain the song titles. Next, the Crippled Youth reissue. This came with a huge thick booklet. The green and red were the standard versions. The green sold out super fast. Then there was a neon green pressing for a couple of Bold shows. I was lucky and a friend picked one up for me. Next, another 7" by The Damage Done. I won this on ebay, and was the only bidder. I think I got it for about $3. It's a tour press with a cool Turning Point rip off cover, numbered out of 88. I also picked up this Drug Control 'Stabbed' 7" on red vinyl. It was pressed by Straight & Alert Records. It was also released by New Age Records. I have no idea which came first. Next is this dark grey copy of the Even Score 7". I bought this because my copy is light grey and I thought it would be cool to have two different colour variants. The only issue is that my other copy is not in my house right now so I can't show the two at the same time. I also picked up this blue vinyl Eye For An Eye 7". I have a red one which I've had since probably '93 or so, and this year someone sent me this for free. Cool huh? I've never been a fan of bootlegs at all, and never buy them. But this year someone sold a few copies of the gold vinyl pressing of this GB 'Live At The Safari Club' on eBay, and as they were brand new and looked very shiny, I couldn't resist grabbing one. One of my favourite pickups of the year for sure, a test press for the Release 'No Longer' 7" on Inner Journey Records. Not much to look at, but a nice once to have for sure. And another Rain On The Parade 7". I'm not a fan of black vinyl unless it's to complete a collection. Which this pretty much does, although I can't prove it as my other copies are on holiday at the moment. And while we're on the subject of Rain On The Parade, I also got the test press of the 'Fired Up' 7" on Youngblood. I grabbed this 7" from a band called Safe And Sound on New Age. Like a fool I didn't listen to the band before adding it to my cart in a carefree manner. I can't imagine listening to this a second time. A couple of years ago I decided it would be cool to collect different versions of the first Snapcase 7". Only problem is that they rarely come up for sale these days. But at some point this year I whipped this lime green one from eBay for a pretty low price. I was stoked. Finally, a white vinyl copy of the Suicide File / R'n'R split. I remember when this came out there was some kind of controversy. I can't remember what it was exactly. But probably that whoever released it took a load of money and didn't send any records out. I can only apologise for this being one of the worst / most boring posts of all time. Too many records and not enough time.